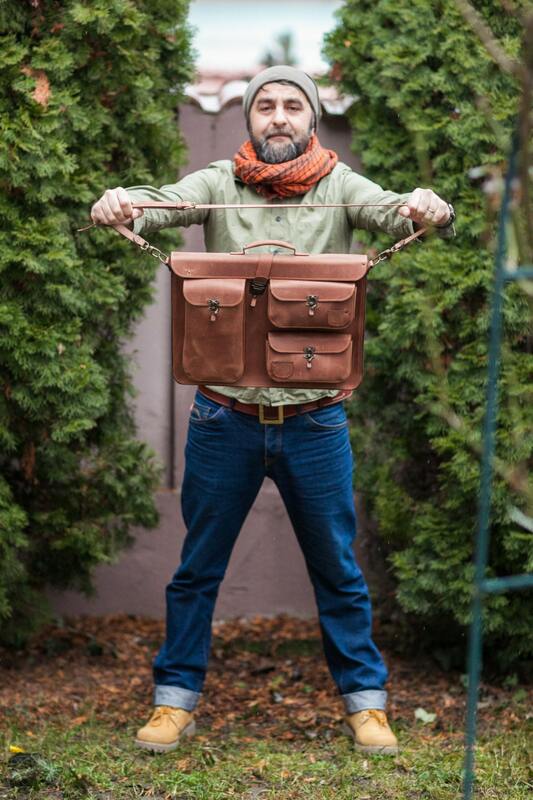 Gilberto Full grain Leather Briefcase is a perfect slim bag, for a 17 inch laptop and for painting gear. 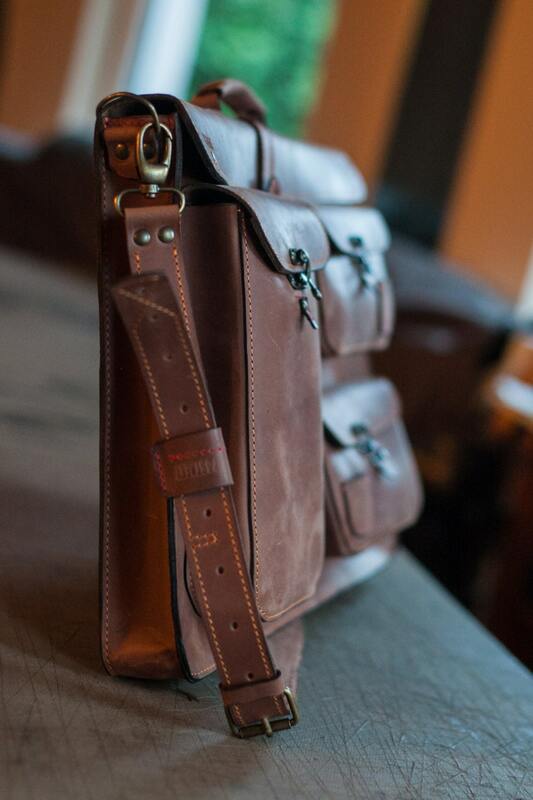 3 big size pocket on front of the bag, very roomy and beautiful. Many 74street specific design details.